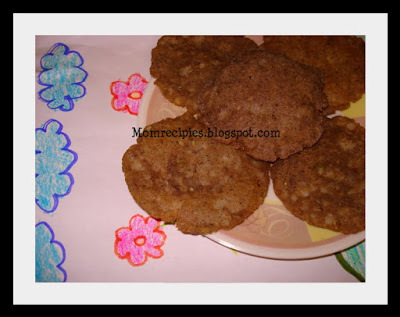 Kuttu (buckwheat ) is regarded as cereal but it does not belong to family of wheat like other cereals. According to Hindu religion kuttu is referred as religious food and is eaten during fast.Kuttu is extremely high in protein.It contains a phytonutrient called rutin, which is used for lowering cholesterol and blood pressure. Kuttu is good for the heart and is rich in magnesium, which is responsible for maintaining a healthy heart.Kuttu contain fiber thus it is used in diet of person having digestive problems. Kuttu flour is good source of vitamin B, iron, calcium and phosphorus. This flour is gluten-free and hence potato is used to bind the flour together . This flour has a very different taste and the pooris are much more crunchy than the normal wheat flour pooris..Kuttu paratha /poori are good choice for old age people. 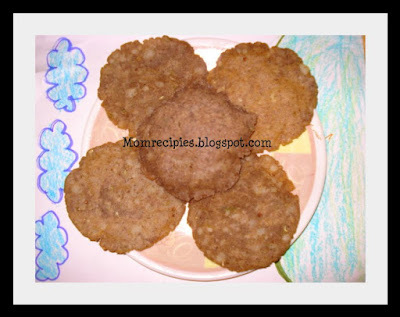 1) Since Kuttu atta (buckwheat flour) is not like the normal wheat flour, you need not add water while kneading it. You have to knead it with the help of boiled potatoes only. 2) Mash the potato , add it to the buckwheat flour, green chilies paste, 1tbsp oil , little salt also .Knead with hands till the dough becomes soft . If required you can add a little warm water or a little more potatoes. 3) After kneading the flour well, take small portion of the flour and make it into a small kneaded ball, in your palm. Then, shape the kneaded ball it into a puri /poori . 4) Since the flour is gluten free the edges may spilt , do not worry just ensure that the pooris do not break from the centre. 5) Heat oil in a frying pan and fry till the puri turns golden brown. 6)Make all puris like this from the remaining dough, repeating the above-mentioned step. 7)Kuttu ki puri is ready to eat. Serve with Aloo ki sabzi /Potato Curry ,Coconut chutney, Peanut chutney or curd . Buckwheat is new to me. Looks great and tempting. Will try to make it when I get it. i have heard about this atta from my friends, but did not know what it was..saw it in mustafa too...will buy it next time..
Mmm, they look delicious, and I could actually eat them because they are gluten-free. Unfortunately, I can't get buckwheat flour anywhere! Puri looks delicious, never tried yet..
Never had this, and i have never used buchwheat too. Yummy Puri sireesha! Perfect for the event!